Bowery Poetry opened as The Bowery Poetry Club at 308 Bowery (down the street from John Giorno's loft and studio) in 2002, and remains at this address today. Host to the influential Segue Series in the early 2000s, Bowery Poetry has welcomed myriad poets, local and international, to its stage, and is one of Manhattan's most challenging homes for slam, performance poetry, hip-hop, experimental theater, burlesque and spoken word. 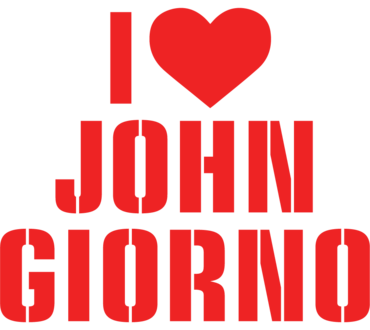 Bowery Poetry ❤ John Giorno is one in a series of programs taking place at Artists Space and around New York City as part of the multi-venue exhibition Ugo Rondinone: I ❤ John Giorno. Organized by Bowery Poetry, and taking the form of a poetry slam, this vivid lineup blends "the freshest of downtown voices alongside legends who have worked with Giorno in an old school jam"—a late summer celebration of the poet who broke all of the rules. Ashley August is an actress, playwright, touring spoken word artist, multiple time Grand Slam Champ, hip-hop junkie, professional shower krumper and NYC's 2013 Youth Poet Laureate. She is a curator, slam master and host at Bowery Poetry. Julius Baltonado is an immigrant, poet, and educator hailing from the mountains of Cebu City, Philippines. He is a Writing Instructor at Queensborough Community College, and is Program Manager and Intern Coordinator at Bowery Poetry. He loves to write about love in all its wondrous and terrible aptitudes. Stefan Bondell is a painter and poet who has organized numerous readings and art performances throughout New York City. He has shown his work at The Hole, Acquavella Galleries, Vito Schnabel Gallery and internationally. Steve Cannon is a writer and is founder of the multicultural and interdisciplinary arts organization A Gathering of the Tribes. He is the author of the 1969 novel Groove, Band and Jive Around. Lynne DeSilva-Johnson is a nonbinary artist and author working in performance, installation, and publication in conversation with new media. She is a visiting assistant professor at Pratt, founder and Managing Editor of The Operating System, and Libraries Editor at Boog City. Lynne also publishes zines and artist books under The Trouble With Bartleby. In May 2017 she released “Progeny Restoration Corporation,” as Vol. I of the Fighting Words series. Timothy DuWhite is the Program Manager at New York Writers Coalition, a nonprofit dedicated to providing writing workshops to under-served communities. He received his BA in English/Creative Writing from Montclair State University, and he has performed at the United Nations/UNICEF, Apollo Theater, Nuyorican Poets Cafe, Bowery Poetry, and La MaMa Experimental Theatre Club, among other venues. Joel Francois is a Haitian-born, Brooklyn-raised poet, writer and performer. He wishes to share his vista as a black writer and implore that intersection everywhere he goes. He studied creative writing at Brooklyn College where he first developed a love for writing poetry. He has represented New York City nationally on the collegiate level as well as the adult scene. He is the 2015 Nuyorican grand slam champ, the 2016 Bowery Poetry grand slam champ, and is ranked Top 20 in the Individual World Poetry Slam. Mason Granger is a writer/performer. He is one third of the touring trio Mayhem Poets, host of the weekly PoetNY Open Mic at Bowery Poetry Club, and creator of the poetry app SlamFind. He'd rather meet good people than read good poems, but good people who also write good poems are best. Bob Holman is most recently the author of Sing This One Back To Me (Coffee House Press, 2013), and is host of the award-winning PBS documentary Language Matters. He took leading roles at The Poetry Project at St. Mark’s Church in-the-Bowery and the Nuyorican Poets Cafe before founding Bowery Poetry in 2002 and co-founding the Endangered Language Alliance in 2010. Samuel Jablon is an artist and poet. Jablon received his MFA from Brooklyn College/CUNY in 2013 and his BA from Naropa University in 2009. Jablon’s work has been exhibited at The Museum Of Modern Art, The Queens Museum and Storefront for Art and Architecture. He’s had solo exhibitions at Freight + Volume, Arts & Leisure, and Diane Rosenstein Gallery. His work has been reviewed in The Wall Street Journal, Interview Magazine, Art in America, ARTnews, Hyperallergic, BOMB, The Brooklyn Rail, and elsewhere. Amy Lawless is the author of the poetry collections Broadax (2014) and My Dead (2013), both published by Octopus Books. Her chapbook A Woman Alone was recently published by Sixth Finch. With Chris Cheney she is the author of the hybrid book I Cry: The Desire to Be Rejected from Pioneer Works’ Groundworks series (2016). L.A. Markuson is the co-founder of The Haiku Guys + Gals. She is a Poet Ambassador for Bowery Poetry, produces myriad media and film projects, and eats almost exclusively sushi. She travels extensively—no one knows where she lives. Nikhil Melnechuk is a film poet from Massachusetts living in New York City, and a graduate of Wesleyan University. He is Executive Director of Bowery Poetry. Sam O'Hana is a New York-based practitioner in critical and lyrical writing. A US-UK Fulbright scholar and an editor at poetscountry.com, his writing has appeared in Columbia Journal, Resident Advisor and Art Jewelry Forum. Shawn Randall is the founder and executive producer of Symphonics Live, and is an actor, poet, singer, writer, producer, and freestyle emcee. He competed in the National Poetry Slam with Team NYC URBANA of the Bowery Poetry Club. Patrick Roche is a spoken word poet. He was born in New Jersey and studied Classics, Latin & Education at Princeton University. He is the author of the 2015 chapbook Wait 30 Minutes. Hannah Wood is a poet, novelist and playwright originally from Sacramento, CA, and currently residing in Harlem. She has a BFA and an MA from NYU, and recently received an MFA from The Writer’s Foundry. She is currently working on a collection of poetry titled The Historians. Noel Quiñones is an educator, writer, and performer. He has received fellowships from Poets House and CantoMundo, and has had his work published in the Latin American Review, Kweli Journal and Pilgrimage Magazine. Noel is the founder of Project X, a Bronx-based arts organization. Follow him @NQNino322. Anton Yakovlev's latest poetry collection is Ordinary Impalers (Aldrich Press, 2017). His poems have appeared in The New Yorker, The Hopkins Review, Prelude, Measure, and elsewhere. The Last Poet of the Village, a book of translations of poetry by Sergei Esenin, is forthcoming from Sensitive Skin Books in 2017.